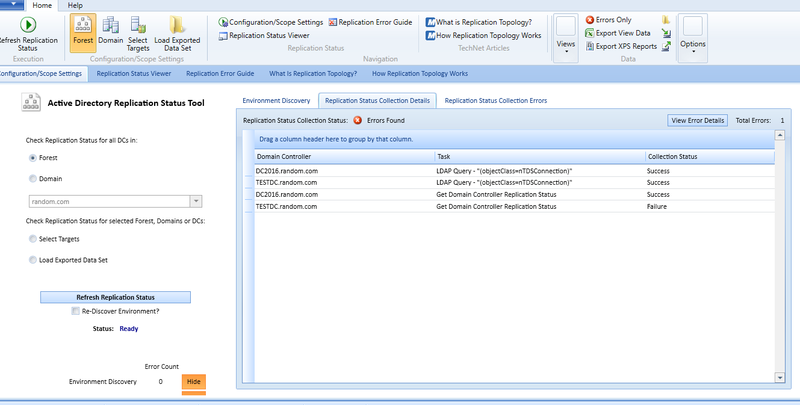 ADReplication Status Tool is the most usaful tool for analyse the replication status of Domain Controllers.You can check the replication status and analyse the errors with this tool.Also the tool will guide you the reference microsoft articles to solve issues. 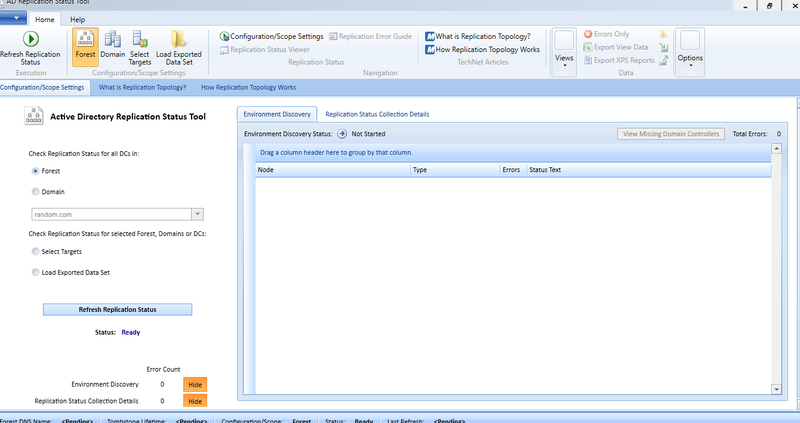 Then you can install tool easily on one of a DC. When you run the tool the incoming screen looks like the following. 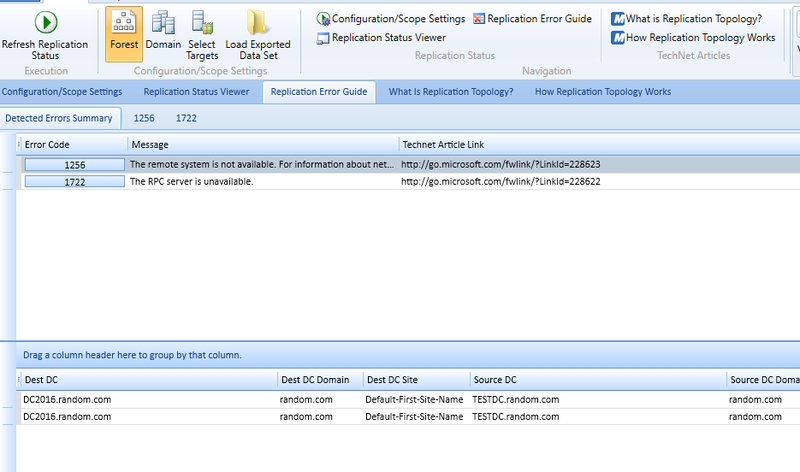 As you see you can run tool as Forest base and Domain base.Click the “Refresh Replication Status” button to start. 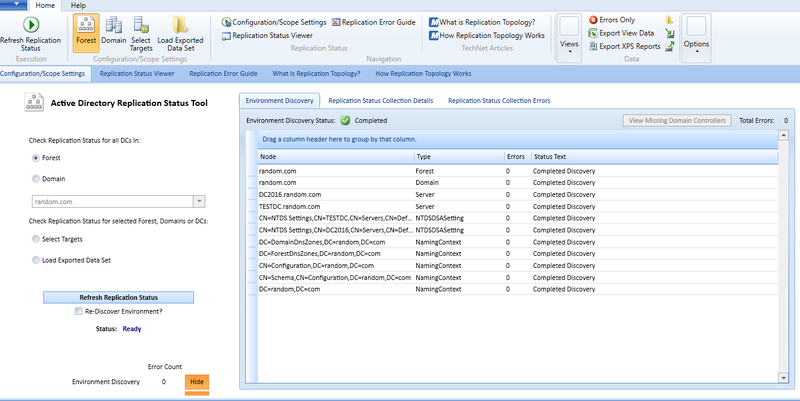 The tool worked and made checks on domain environment (Environment Discovery Status).Then the result screen showed me the necessary information, replication status and errors (Replication Status Collection Details). 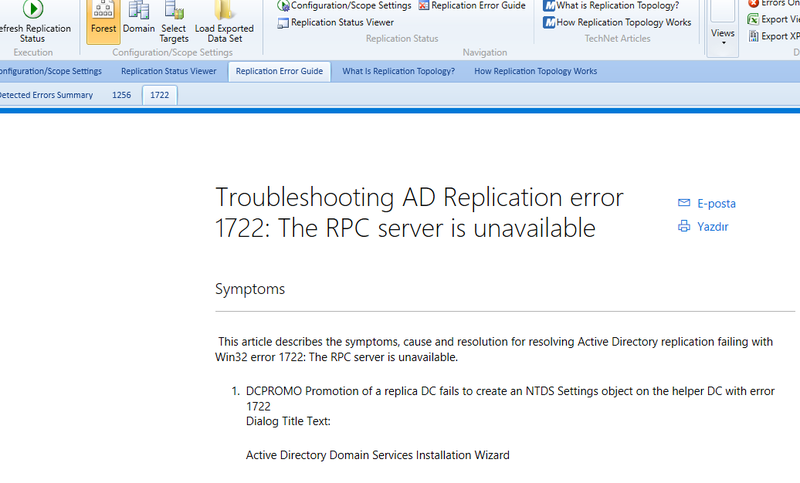 When i check “Replication Status Collection Details “ tab this show me there is errors occurs one of my DC called “TESTDC”.Then i should select “Replication Status Viewer” to analyse the errors.On my domain controller 1722 and 1236 errors have occurred. Now that we have come to find the causes of these mistakes and solve the problem. 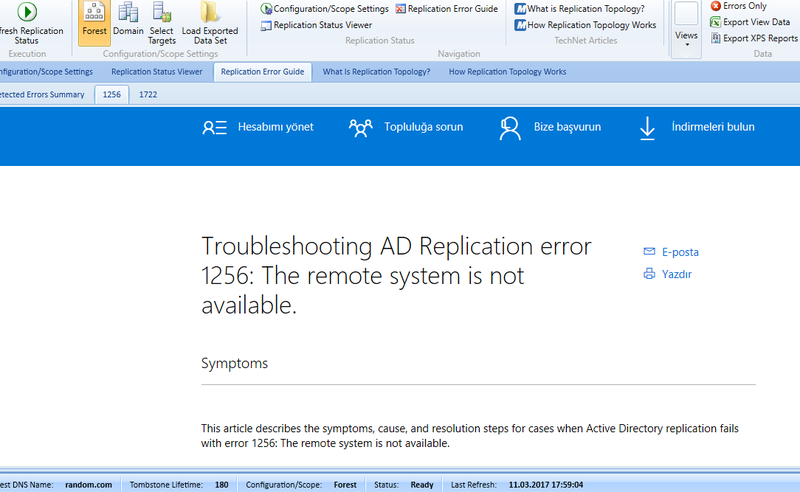 Click “Replication Error Guide” tab,then select the 1256 error code tab then tool will redirect me the microsoft official article to analyse the issue.also select the 1722 error code tab again tool will redirect me the microsoft official article to analyse the issue. Finaly i need to be check these reference articles to solve the issues.When i fix the issues on my dc,my dc replications will become healthy status.